I've been living for the backpack from coach for the past few months. The backpack was bought by my sister from her trip to Europe. I asked her to help me look if there are any cool backpacks. Then she sent me a picture of this backpack and I was in love! 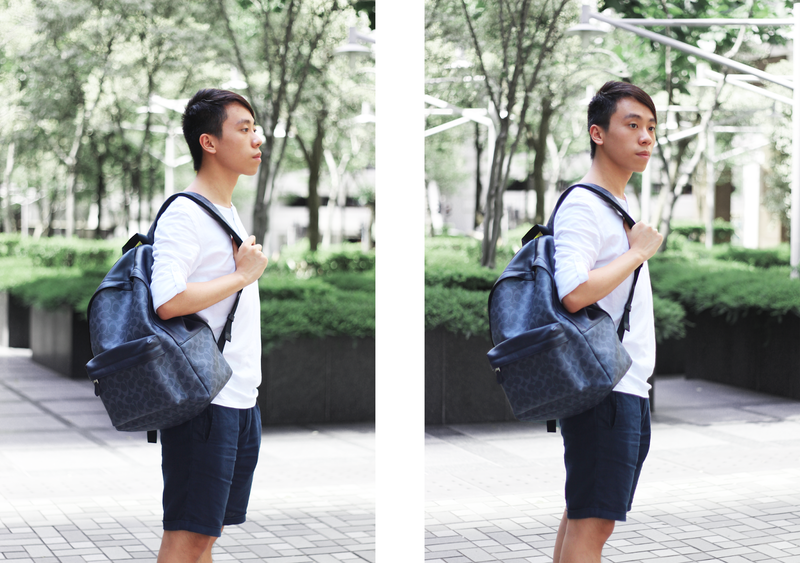 You guys probably saw me wore this backpack for so many times for different outfits! 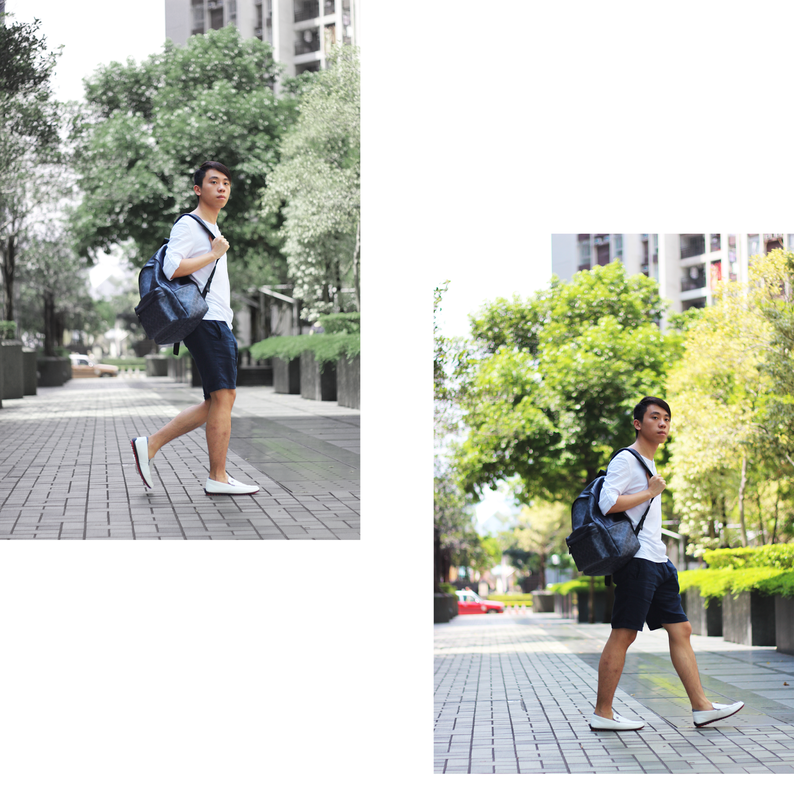 These photos were taken two months ago and showed the backpack perfectly. I've been dying to share these sets of photos to you guys for a long time! The backpack is kinda heavy though (most probably because of the materials). I can wear this backpack for many different occasions for sure! This time, I'm wearing it in a smart casual look. 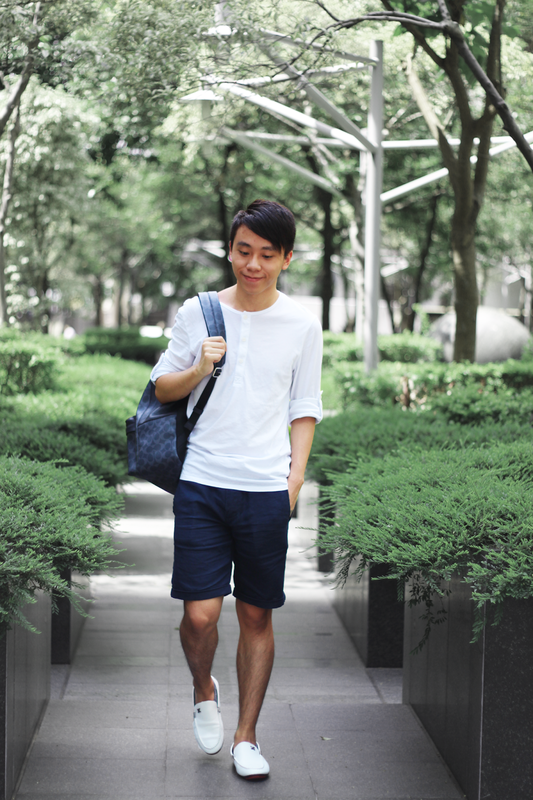 Pairing it with loafers is one of a good way to rock the summer look! There are different ways to rock the backpack though. You guys can take a look at the outfits that I posted previously on Instagram/blog! Love your loafers and backpack. It's a great look but also practical. Such a cool look. Love that bag pack. 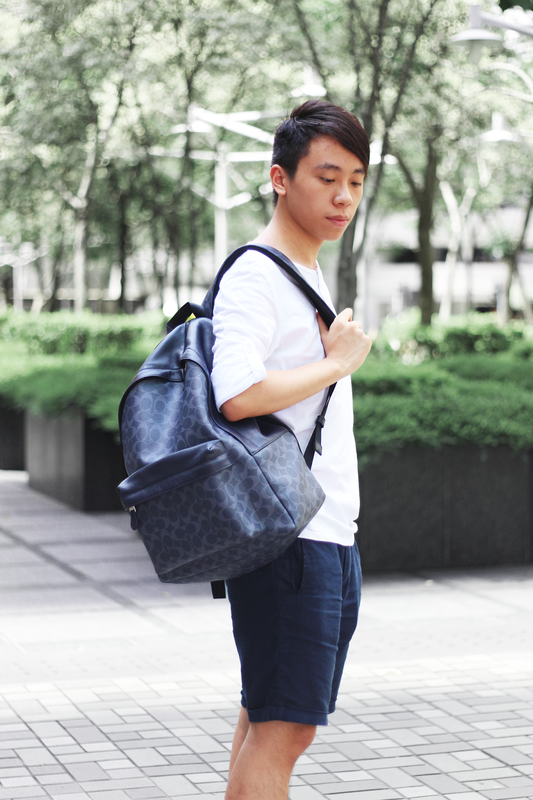 You have the best style Daniel, this backpack is one I have always wanted in the LV version and I don't even care if it is for men! I actually have white ones as well! Love them so comfy and the softest leather! Perfect summer outfit! This backpack is fabulous, love it! Aqui no Brasil estamos vivendo em clima de Olimpíadas! E tem tudo a ver com o seu look. This is classic.I love your outfit . I know the feeling! Loving your backpack! Super chic and cool!! I love this easy look. The loafers add a bit of elegance. You look very smart and polished. And I like that. Especially, when you are featuring a backpack. Great look! and your backpack suits perfect to it. It's amazing look, even though its simple! I love it! You look great, Daniel!) love your style!